Getting enough comments on your blog, shows your blog is alive and it’s getting noticed. Many had suffers the enough on the issue of comments, i received so many emails where people were telling and asking that how can they get people to comment on their blog. However, it has been confirmed that if you get enough comments on your blog, that you’ll increase both your SEO benefits and your own personal status. Each new comment on your post, adds more valuable content on that post, also the more comments you have, the more cloud you appear to get, because people are more interested in what you have to say concerning the issue you raised. So the question in hand now is : How do you get people to comment on your blog post? And here i have got enough ways that could convince people to comment on your blog. Do you even give rooms for people to comment? This is the first point to getting started, there are some people who published post without seeking people’s own opinion or comments to what he/she has said. At the end of every one of my blog posts,a do ask a question. Something as simple as “What do you think about this?”, Do you agree with?, “Share your thought on this issue via the comment box”. Asking for feedback from your readers do go a long way in commenting and even gaining the trust of your readers. And most possible asking their opinion and you also replying to their comments make them feel more comfortable leaving a comment. Bold your questions so it could stand out from every other letters there. Actually this took me a pretty long time before i knew this, but immediately i found out this point there was no turning back. Always make an insightful comments on other blogs, no man single handedly can make a forest, you need to extend you tentacles.Most times, don’t just comment with simple “Thanks for this great articles!” Simple make your own comment to be valuable, make it interactive, and this ways the blog author and other reader could visit your blog.And this eventually would help you to increase you blog traffic. 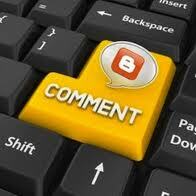 Not until you make and do good publication of your blog, people will never comment on your blog. One thing you need to know is that comments are as a result of incoming traffic and if you blog is not actively promoted through more than one method, then it will remain the same with no growth. Therefore, its very important to take every available opportunities to promote yourself , your blog and brand whenever you think it’s appropriate. One thing about Blogosphere that many other bloggers had thrown away is that Blog world is an interactive platform. One of the reasons why the new bloggers and most cases some pro blog are not getting good comment is because, they are not just been interactive with their posts. I will give kudos to Lindaikeji because am very sure most times she might be tired of replying comment cos of the ways people comment on her blog. She was able to attend this level all because she made her own blog world an interactive platform. Also the likes of Gistmode, justnaira, all these blogs that i have mentioned did a great job in commenting. Always try and make your blog posts to be friendly, interactive. Instead of just tweeting and sharing on Facebook with the typical format of “Title – Link”. Also always try and ask for feed backs i.e We would love your comments etc, and this is also a type of tweet or update that a blogger would post and show you care about what your audience thinks, rather just doing your things in your own ways because you need traffic.. I bet you People get tired of too long blog post, most especially the teenagers and young adults of nowadays. Even though the most informative and well- written posts can be passed over by readers who are busy. Most often they believed good and well scripted article can be passed across to masses by summarizing it, and you should know that when posts aren’t read, they are not commented on. What you say when people comment on your blog goes a long way in how that person feels about your blog. Your attitude and opinion of their comment leaks through in your word choices. Welcome divergent opinions. To build a community around your blog, you need a thick skin to protect you from people who don’t agree with you. But it goes even deeper than that. You need to welcome divergent opinions. You need to appreciate that everyone has a unique life experience that leads him or her to different conclusions. Just because someone disagrees with you doesn’t mean that anyone is wrong or right. It just means you have different opinions. Interesting post. I've found having a variety of blog post lengths on my site works well. Longer posts are often needed to maintain strength on my site, and shorter posts to build key concept comments and relevant discussion points. Asking questions is a must. Have you ever read a blog where there are no questions? Kind of boring to read right? No questions? No answers. The problem with that is you appear to know everything, and then you don't explain it. Almost all blogs could use more questions. Is there any advantage to not having discussion on your blog posts? I always wonder. I have a lot of loyal, regular readers who email me, instead of commenting on my blog. Kind of frustrating but, at least I hear from them! I think i'm in support of the fact that you said post are meant to solve blogging issues or serves as a means of getting opinions from others on such niche, these are what can bring traffic and more engagement of ones blog. Thanks Jan for your accurate comment.